Mirror writing is no longer a mystery. The first cerebral and the second behavioral are the two levels in which mirror writing of characters work. A process called symmetrization or mirror generalization is when the brain eliminates orientation when storing images. Children most often point characters toward the right in countries where primary languages are written in Latin. Children who reverse left-oriented characters the most are also those who reverse the right-oriented characters the least according to a 2016 study. Mirror writing is not a myth. Have you experienced it, or know someone who has? When storing images the brain eliminates orientation, a process called symmetrization or mirror generalization. 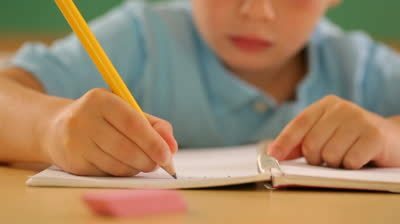 Children most often point Latin characters toward the right when writing from left to right. Children who reverse the right-oriented characters the least are the ones are also the ones who reverse left-oriented characters the most.